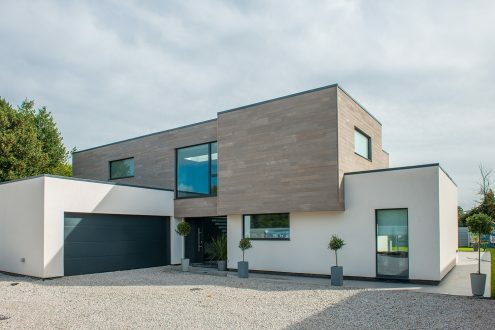 With decades of experience, Taylor Lane will be your partner throughout your self-build journey. With more than 25,000 timber frame homes under our belt, we have the expertise and knowledge to ensure a problem-free self-build experience. 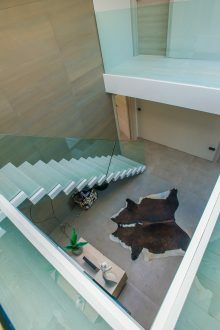 We are on-hand to support you and your project as you require it. Our dedicated self-build manager, Padraig Hurley will be your first point of contact – guiding you through the timber frame construction process. 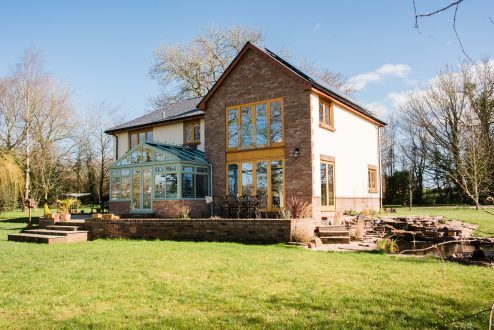 A member of the Taylor Lane team will be with you for every aspect of your timber frame self-build; from our designers in the initial stages through to project management and our site supervisors (erection only). 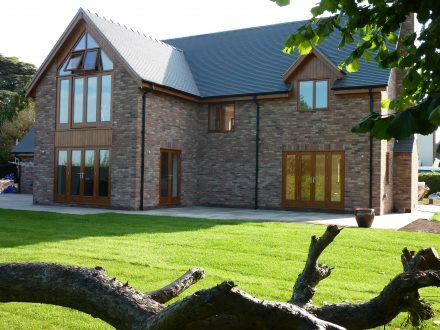 Trust Taylor Lane with your self-build project and we will not only supply you with your timber frame, roof trusses and engineered floors, but can also look after the ‘extras’ such as internal and external joinery, stairs, roofing ancillaries and rainwater goods – saving you time, effort and stress. You are welcome to meet the team and tour our facilities – to fully understand and appreciate the timber frame construction process. Given that much of a Taylor Lane timber frame kit is constructed offsite in our factories, the frame can be erected in a matter of days. This significantly reduces the impact of bad weather. With the support of a good roofing contractor or, if you are doing the build yourself, prepared – the build can be dry in a week. Add in windows and doors and the building can be weather tight in the same timeframe. With a timber frame structure, a typical time saving of around 30% for a two-storey, three-bedroom house can be achieved. Due to the speed of erection you must be organised. 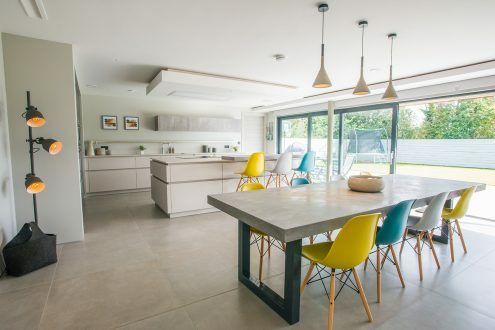 While the beauty of off-site construction is exactly that, factory precision manufacturing of quality build components, the real benefit is only appreciated by those who have all their trades organised – if that’s the route you’re taking! What’s the point in a fast construction method if there’s no roofer to make it dry, plumber or electrician for first fix or a dry liner to get the interior fit-out underway? Up-front labour and materials such as groundworks and scaffold must also be considered. While there is little difference in material costs alone when comparing traditional and timber frame builds, there are many other factors that need to be taken into account when doing a cost comparison. 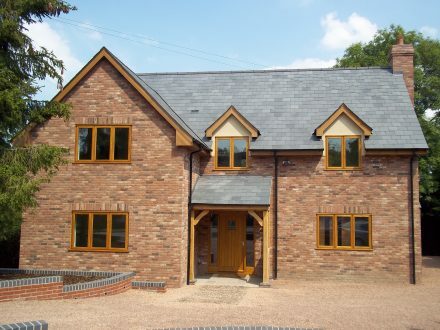 Timber frame buildings far exceed those built using traditional materials when it comes to thermal efficiency, and go way beyond Building Regulation requirements, without any filling of the cavity, and the prospective problems associated with this. Building Regulations set the levels of thermal insulation required for a new build. This is expressed as a U-value; the measurement of the rate at which heat will flow across a material. The lower the U-value, the more effective an insulator the material is. Simply put, the lower the U-value of your home, the less energy it will take to heat it and to maintain that heat. The required U-value will depend on the location the property (England, Wales or Scotland) and the application (walls, floor or roof). Current Building Regulations (England) stipulate a minimum U-value of 0.3W/m2K for external walls. We can achieve U-values as low as 0.1, if that is what is required by our customer. We have completed builds that can meet Passivhaus standards. Timber frame has the lowest CO2 cost of any commercially available building material. For every cubic metre of wood used, instead of other materials, 0.8 tonnes of CO2 is saved from the atmosphere. All the timber used by Taylor Lane is from sustainable sources, coming from managed coniferous forests in Scandinavia, where more trees are planted than are cut down. We take our environmental responsibilities very seriously and we are PEFC accredited.